V.V.Titanium Pigments Pvt Limited is the major producer of copperas as a by-product, with over shadow short of two decades experience supplying to various user industries. 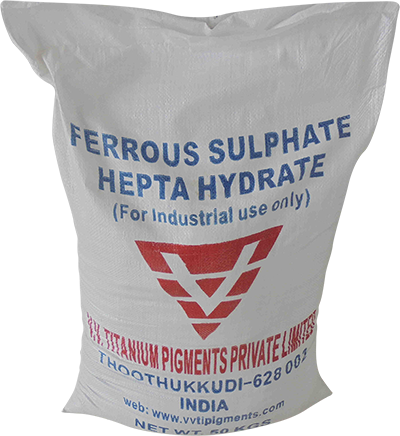 Ferrous Sulphate Heptahydrate, also calledcopperas,is a blue-green, monoclinic crystals; soluble in water, melts at 64 C.
Commercially generated as by-product during the manufacture of Titanium Dioxide. Even though Ferrous sulphate is a by-product we have fully mechanised facility exclusively to manufacture FSH with min. 99% Purity. Used as a mordant in dyeing wool, in the manufacture of ink, in water purification as a substitute for aluminum sulfate, as a fertilizer, and as a feed additive. 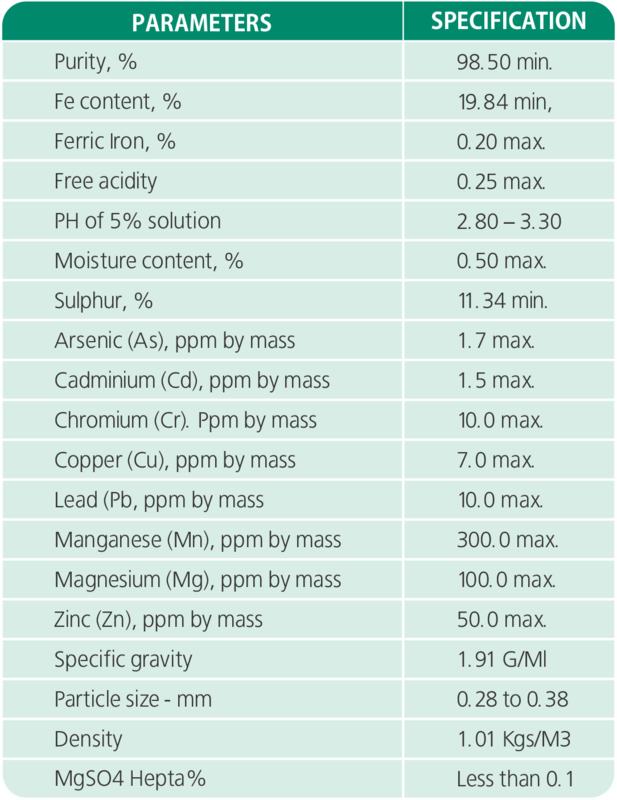 Copperas is also widely used as a coagulant in water treatment chemicals, and as a raw material for iron oxide pigments.